Scent: Unrefined cocoa butter is rich and very sweet . It has a chocolaty, “cocoa” aroma. The cocoa aroma is less noticeable in refined cocoa butter. Consistency: Solid and hard to work with at room temperatures. Breaks into pieces. Will melt at body temperature. Absorption/Feel: Slightly Oily Upon Application. Benefits: Cocoa butter was traditionally used by local populations to protect the skin against the effects of the sun. In modern cosmetics, it is a useful ingredients to use in ointments and balms as it will maintain the consistency of the product. The melting point of cocoa butter is 34 to 38 C.
Cocoa butter is one of the most stable fats known, a quality that, coupled with natural antioxidants, prevents rancidity, giving it a storage life of two to five years. The velvety texture, pleasant fragrance and emollient properties of cocoa butter have made it a popular ingredient in products for the skin, such as soaps and lotions. The moisturizing abilities of cocoa butter are frequently recommended for prevention of stretch marks in pregnant women, treatment of chapped or burned skin and lips, and as a daily moisturizer to prevent dry, itchy skin. Cocoa butter's moisturizing properties are also said to be effective for treating mouth sores. However, the largest clinical study regarding the effects of cocoa butter on stretch marks in pregnant women found that results were no different from a placebo. More Info: Frequently blended with Jojoba oil, Cocoa butter is used in Ayurvedic remedies for treating stretch marks, scars, sunburn, mature and dry skin conditions, and for discarding dead skin cells. Polyphenols seen in cocoa butter have been witnessed by proven studies in relation to anti-aging reaction. They also help treat dermatitis, and serve as anti-oxidants and an excellent natural topical cream. Chemical Analysis: Cocoa contains theobromine, caffeine, anandamide, flavonoids, sulfur, proteins, magnesium, tryptophan and polyphenols including epicatechol. 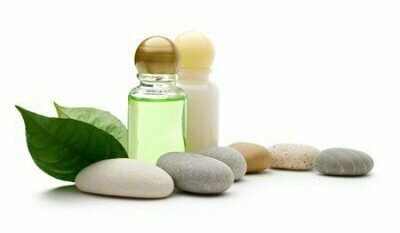 It also consists of numerous fatty acids like palmitic acid, myristic acid, oleic acid, stearic acid, arachidic acid, lauric acid, linoleic acid, glycerides and stigmasterol. Cocoa butter, unlike cocoa solids, has no more than trace amounts of caffeine and theobromine. Which cocoa bean traits persist when eating chocolate? Real-time nosespace analysis by PTR-QiToF-MS. The acute effects of cocoa flavanols on temporal and spatial attention.